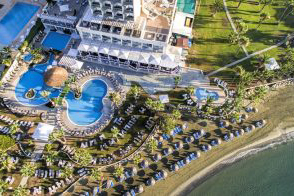 The hotel has 193 rooms including Standard, Deluxe and Suites that overlook the hotel swimming pool, sea or the city. All rooms include wireless internet connection, bathrobes, slippers, safety deposit boxes, mini bars, tea & coffee making facilities, multi-channel TV with local, satellite and Pay-TV channels, and balcony. The Etoiles Restaurant: Serves classic haute cuisine from France and Italy, with hints of the Near East and the Orient. The outdoor Yacht Club: Guests can enjoy the beautiful sea view and a menu of international tastes. 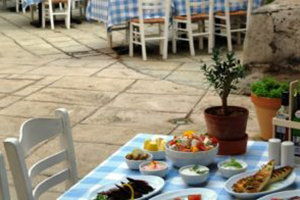 Thalassa Restaurant: Offers a buffet of salads, meat, fish and pasta dishes and an extensive vegetarian menu. 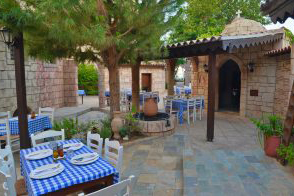 Ouzeri Restaurant: Serves Meze dishes of classic Cyprus and Byzantine cuisine, in a Byzantine castle courtyard setting. Cocktail Bar: The ideal place for casual meetings, with a great selection of coffees, signature cocktails, and snacks. Shakespeare Pub: A traditional English pub, with a selection of beers, cocktails and quality food. 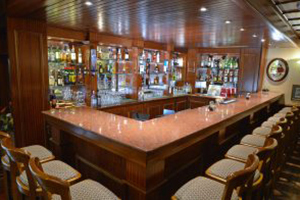 The Pool Bar: Features a wet bar area, and offers relaxing meals, fresh fruit juices, waffles, crepes and cocktails. 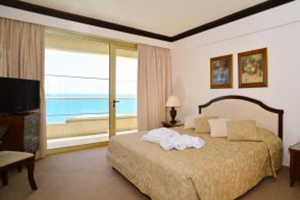 The Hotel features a Leisure club with a complete range of workout and leisure facilities. Including gym, aerobics, indoor and outdoor pool, sauna, steam bath, hairdressing salon, beach, water sports, mini club and tennis court. 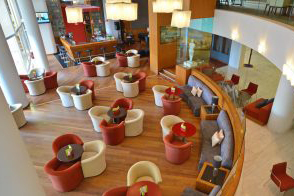 The hotel features an area specially designed for conferences. This area can be broken into smaller sections to suit guest needs. 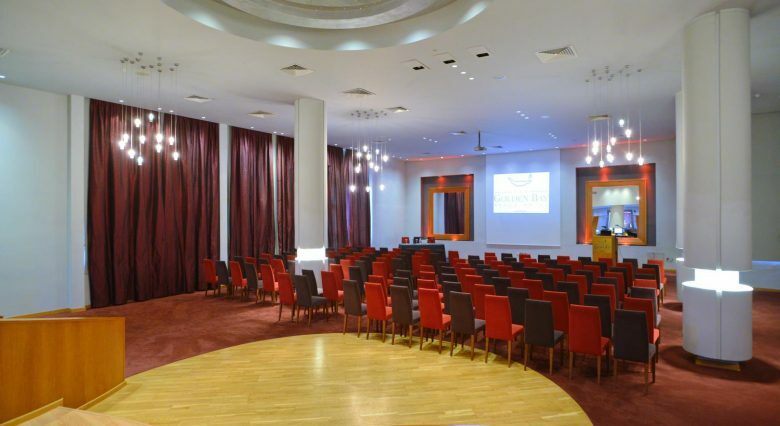 A hallway of adjoining meeting rooms can be used separately or in combination, to accommodate up to 300 delegates.